This morning we went on a hike. This is a hike that is fairly difficult, but one I have done many times before. I used to go nearly every weekend while I was in college, and I have gone with my kids a couple times in the last few years. Today, though? I literally thought I was going to die on that hike. Once upon a time, I was able to do two or three switchbacks before having to stop and rest. Today? I couldn't even do a full switchback without stopping. The last time I did this hike was three years ago, and the difference was really obvious to me. In that three years, I have been diagnosed with Lyme disease, gone through many treatments and continue to go through those treatments, and have gained more pounds than I care to think about because of those treatments and/or the Lyme itself. The result of those unwelcome changes in my body? 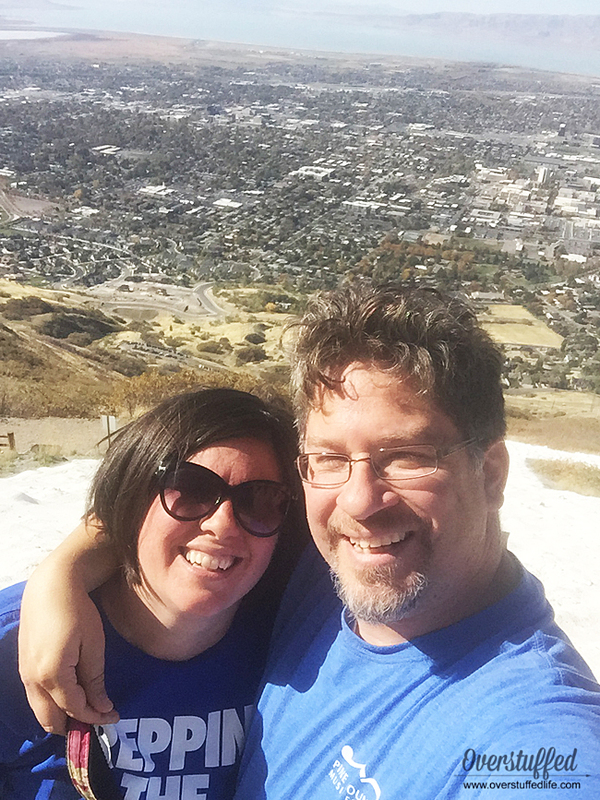 A hike with my family that felt more like a near death experience. I wanted to quit at least 45 times during the 1.1 mile hike up the mountain (the 1.1 mile hike back down wasn't nearly as bad). But I didn't quit, even though I really, really wanted to. I stopped to catch my breath a LOT, but I kept moving onward and upward after every rest, and I eventually made it to the top. My face was red, my feet hurt, and my legs felt like jelly—but I was thrilled. I had overcome my physical limitations. I made it to the top, and it felt good (in a slightly awful way). 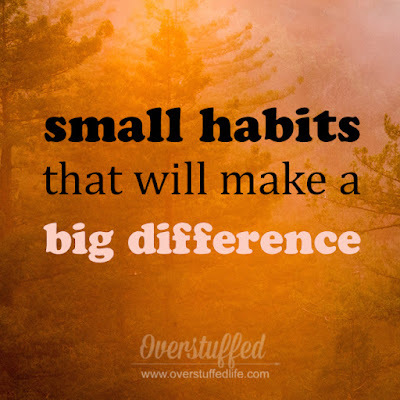 It got me thinking about habits, and this Small Habits, Big Difference Series that I've been working on this month. 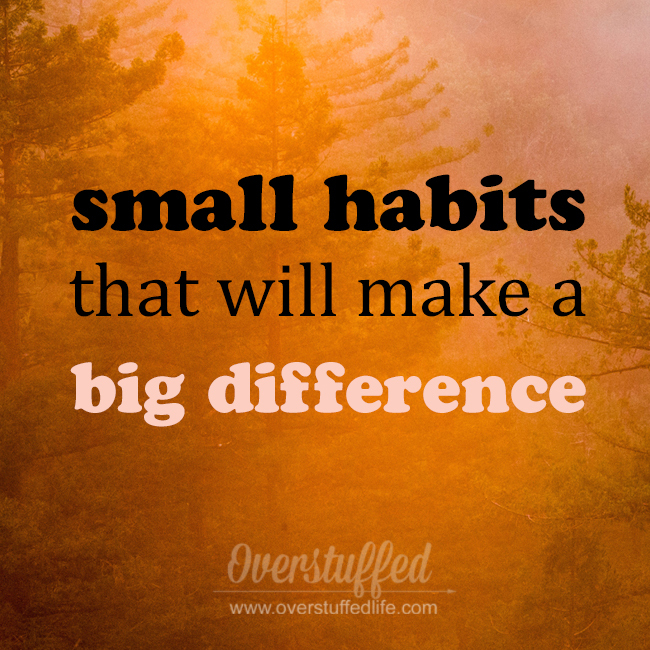 Sometimes developing good habits is really hard. 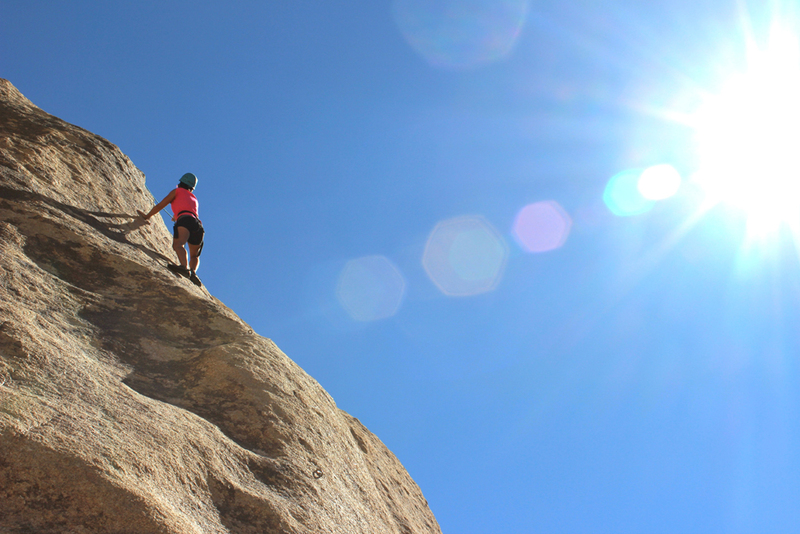 I'm not kidding around when I say that habits such as exercising daily, getting up early, or keeping on top of my budget often feel the same as facing an insurmountable mountain. But just the same as hiking the mountain, small steps forward will eventually get you to the top. And even though the process is really, really hard—once you're at the top you will feel great because you overcame. Then I got to thinking how doing hard things should actually be one of those small daily habits. We should choose to do something—anything—that is hard for us every single day. It doesn't have to be climbing an entire mountain, though. 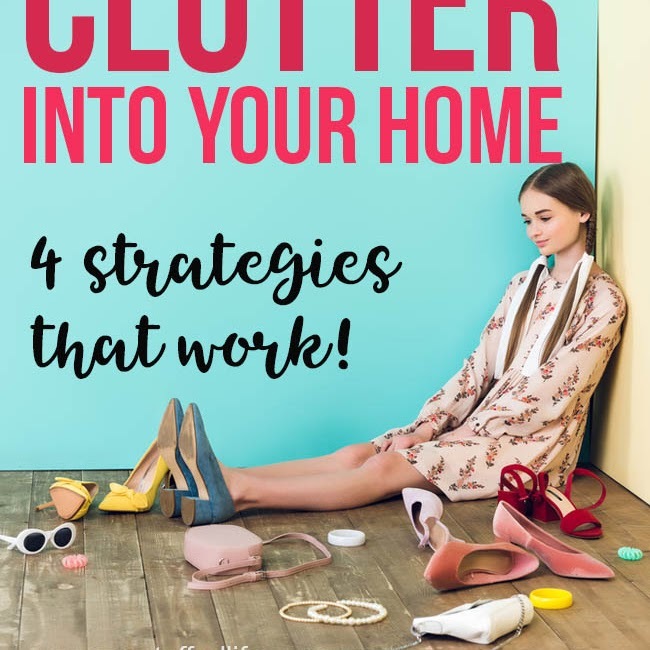 It can be as simple as making a difficult phone call, doing that thing that never seems to get crossed off of your to-do list, or making your bed. I always feel so darn good after doing something difficult! That's one good reason to do hard things on a daily basis—but there are even more reasons to force yourself to face mountains. 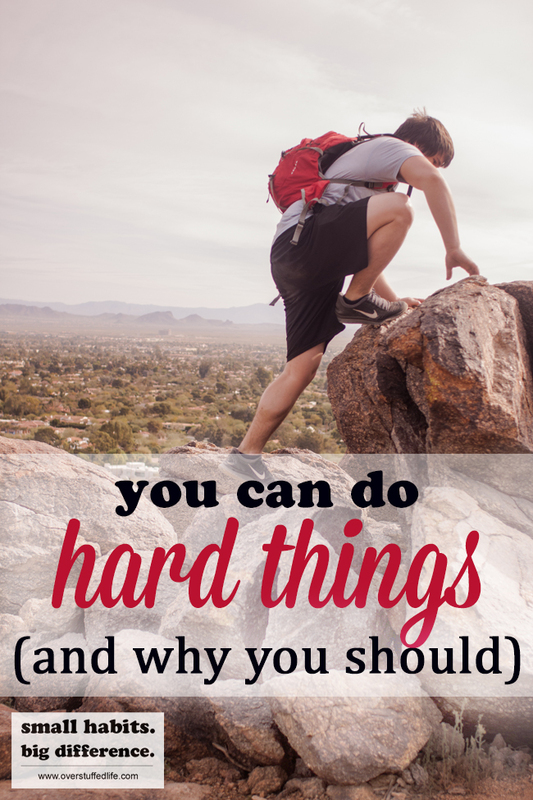 You Can Do Hard Things—And Why You Should! Just like hiking a mountain every day would result in more physical strength, doing something difficult each day will help you become a stronger person. Mentally, spiritually, physically—all parts of you will be strengthened as you choose to do hard things. I love the quote by Ralph Waldo Emerson: "That which we persist in doing becomes easier, not because the nature of the thing has changed, but that our ability to do so is increased." I want to be strong, but it takes work! One of the books I've been reading this year—Eat That Frog!—talks about the idea that you should always do the most difficult and unpleasant task of the day first. I'm the type of person who saves those hard things until last. And because I save them until last, they very rarely actually get done. A person who is willing to do the hard things first will automatically be more productive than the one who waits until the last minute. 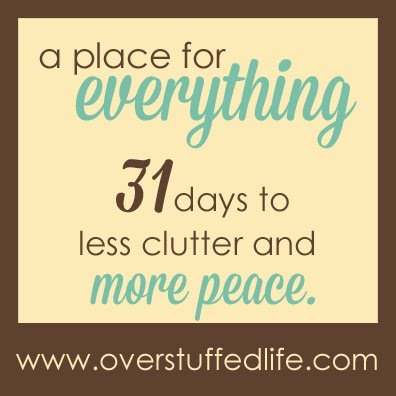 Not only does he get it out of the way first, he has more time to do the easier tasks and can end his day on something pleasant instead of something unpleasant. As I said before, you feel really good when you accomplish something difficult. Sometimes it's a sense of relief, but it is often a lasting sense of joy and satisfaction that you really cannot come by easily. That's why doing hard things is so essential! So today, look at the things you know you should do and choose one hard thing and commit to doing it. Do it first—now—and don't procrastinate it until later. As Thomas S. Monson recently said, "May we ever choose the harder right instead of the easier wrong." Small Habit: Do hard things every day. Big Difference: Be stronger, happier, and more productive.